The ultimate package to experience what the Mother City has to offer. 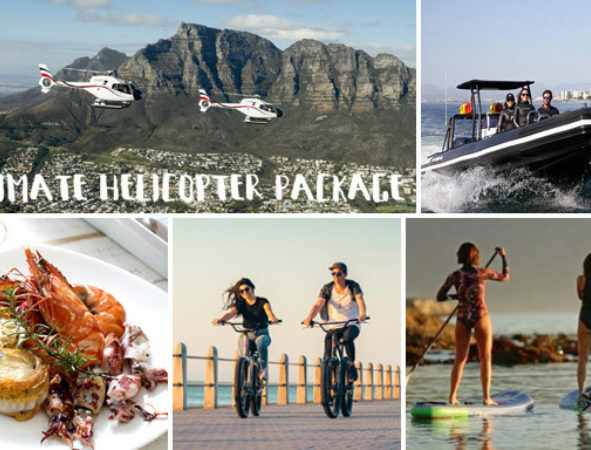 The package includes a 16 minute Helicopter flight with Cape Town Helicopters at the V&A Waterfront. On take off your flight will include stunning views of Table Mountain, Devils Peak, Lions Head and the whole 12 Apostles Mountain Range on the Atlantic Sea Board. To see the city from the air is an experience like no other. The Marine Big 5 Ocean Safari is a 1 - 1.5 Hour boat trip onboard our Gemini RIB Boat. Experience Cape Town from the sea as we go on a search for marine life along the coast line. We have the chance to see Dolphins, Sunfish, Seals, Penguins and Whales. Lunch is served at the V&A Waterfront, through a top quality restaurant, at Seelan Restaurant. You are treated to a relaxed yet vibrant atmosphere that brings a slice of the Mediterranean to the Cape coast. The Stand Up Paddle Board lesson will be conducted in the V&A Canal District. The lesson will be 1 hour on the water where you will learn the basic techniques of Paddle Boarding while enjoying the fun of learning a new sport. The 2hr Cruiser Bike rentals can be picked up and taken out for a ride along the promenade or wherever you would like to explore! 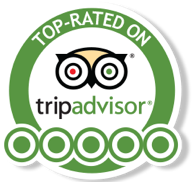 The tours are subject to availability and may have to be conducted over 1-2 days. Book online or instore, schedule your activities with Ocean Experiences. Meet at the Shop to fill in some paperwork and start your ultimate experience. 10 years or older, be in good physical health.